Since writing my first article on the New Age (you can read it here), I’ve heard from people who had more questions about their own practices and whether or not they should stop doing what they are doing. For example, one reader reached out to me to ask about yoga. We’ll tackle the topic of yoga below, but I want to clarify that my purpose is not to tell you what you should or should not be doing. Instead, I’m trying to help you, Mama Bear, to learn more about the New Age so that you can spot it when it comes up. I encourage you to read Scripture and pray about your practices and ask the Holy Spirit whether you should make a change. Over the past several weeks, I’ve compiled some of the questions I’ve been asked about the New Age Movement, and I’ve answered them below. If something you want to know about wasn’t addressed, feel free to ask in the comments section. How did the New Age Movement begin, and is it really still around? What are the basic beliefs of New Agers? What are crystals, and why do New Agers use them? Is yoga related to the New Age Movement? Do New Agers believe in reincarnation? What is the relationship between holistic health and the New Age Movement? Who are some of the most famous New Agers? Does the New Age stem from other religions? How can I tell if I’m being influenced by the New Age? 1. How did the New Age Movement begin, and is it really still around? When you look at what was happening in our world in the 1960s, it’s not hard to understand why the New Age Movement would have blossomed during that time. Our nation was at war, challenging authority was becoming the national pastime, drug use was rampant, and transcendental meditation was on the rise. When the musical Hair made its Broadway debut in 1968, the “Age of Aquarius” was in full swing. People were desperate for peace, love, and unity, and the New Age Movement supposedly offered them a way to achieve those things. Disillusioned people no longer looked for hope in the Bible. Instead, they sought a spiritual universe of power and enlightenment, and they developed practices to access this power through astrology, yoga, crystals, and meditation. New Agers are typically tolerant and accepting, and in the 60s, that was paramount. However, they were tolerant of all ideas except Biblical Christianity, which they blatantly challenged—teachings like the Ten Commandments and the supremacy of Christ. Tolerance and absolute acceptance are idolized in today’s society, too, which means that the New Age remains a steady presence. Not sure about that? Well, according to the Barna Group, 28% of Christians who responded to a poll in 2017 said that all people pray to the same God, no matter what they call Him. Twenty-seven percent of respondents said that meaning and purpose come from becoming one with all that is.2 These are undoubtedly New Age beliefs. Christians need to be able to spot the New Age Movement in their own world, so that they can combat it with the truth offered within the Bible. 2. What are the basic beliefs of New Agers? 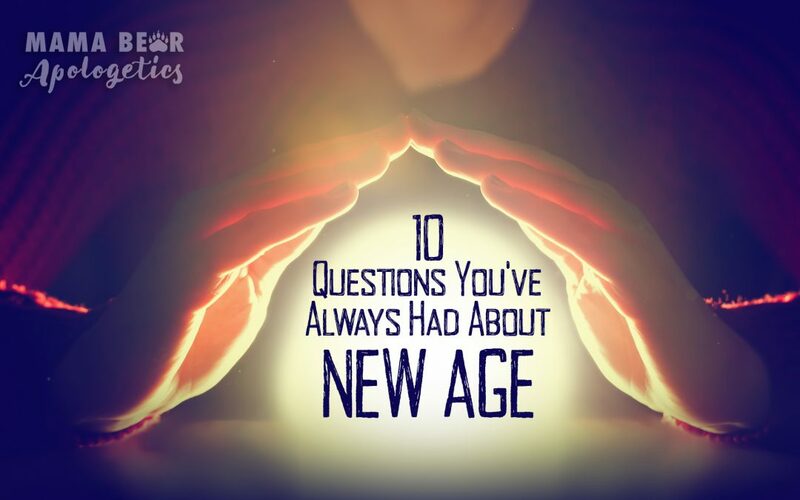 We covered New Age beliefs in depth in our first post on the New Age, and you’ll see a similar breakdown in the upcoming Mama Bear Apologetics book, but here’s a quick crash course for you. Monism. This is just a fancy word that means all is one. (Monism should not be confused with monotheism.) Monism means that everything is one thing. In other words, there is no real difference between the grass, your baby, and your baby’s dirty diaper. They are all one, even with god. Keep in mind that the New Age god is not the same as the Christian God, who is our Creator and wholly separate from His creation. According to New Agers, though, we all have unique energies, but we’re of the same quality. We are all one essential substance. Pantheism. This is similar to monism, but pantheism means that all is god. Nature is god. Creation is god. We are all part of the larger, cosmic energy force that creates life as we know it. Taken to its logical conclusion, this means that humanity is, in fact, god. Nothing is more or less important than anything else. Your kids are of equal value to the broccoli they just spit out. This does not align with the Christian view of God, who is personal, infinite, and distinct from His creation (Acts 17:24-25, Romans 1:25, Revelation 5:13). Syncretism. This may be an unfamiliar word, I know, but this one is important for you to know if you’re going to understand religious pluralism. Syncretism means that all religions are one. New Agers believe that there are many paths to God (remember that video of Oprah telling the Christian that Jesus isn’t the only way?). As Christians, we know this cannot be true. The Bible describes Jesus as “the way, the truth, and the life.” There is no way to the Father but through Jesus Christ (John 14:6). You might have heard of psychic mediums like Theresa Caputo, John Edward (not to be confused with Jonathan Edwards! ), and Sylvia Browne (I actually read a few of Browne’s books back in college when I was investigating my own faith). Mediums claim to be able to connect to the spirit world and communicate with particular spirits. Sharon Beekmann, the reader for my New Age articles, was deeply rooted in the New Age Movement. She channeled five spirits who lied to her about being famous people. They told her information about themselves, and she read books later that validated what they told her. One spirit, Sister Therese of Lisieux, told Sharon just enough about herself to gain Sharon’s trust. Sharon even read Sister Therese’s book, Story of a Soul. However, eventually, Sister Therese dropped her disguise and revealed herself as a demon.6 Mama Bears, this is real stuff and there is real danger in communicating with spirits that we cannot verify as coming from God. The Bible specifically warns us to avoid seeking the advice of mediums and to instead go directly to Him—“Why consult the dead on behalf of the living?” (Isaiah 8:19). Deuteronomy 18:10-12 says not to engage with anyone who does witchcraft, sorcery, or consults the dead. Most mediums profess that they channel the dead, but we know that they are actually channeling spirits who are impersonating the dead. Scripture tells us to test the spirits to determine if they are from God (1 John 4:1). We’re even told how to do it: “This is how you can recognize the Spirit of God: Every spirit that acknowledges that Jesus Christ has come in the flesh is from God, but every spirit that does not acknowledge Jesus is not from God” (1 John 4:2-3). We must evaluate claims made by prophets to determine if they align with Scripture. And remember: not everyone who refers to Christ is talking about the same Jesus of Nazareth Christians believe is God. 4. What are crystals, and why do New Agers use them? Should Christians wear crystals? This one is a toughie, and there are Christians on both sides of the fence. Crystals in and of themselves are not evil (how many of us have diamonds or other jewels in our wedding rings and other jewelry?!). Crystals were created by God. However, we do need to acknowledge that there is spiritual warfare happening all around us. This is the key reason why you need to ask the Holy Spirit for guidance. Also, check your intentions. Do you wear the crystal because it’s a pretty stone or as a simple piece of jewelry? Or, are you wearing it because you think it gives you some sort of divine protection, healing, or other supernatural power? If it’s the latter, we want to remind you that protection comes from the Lord (2 Thessalonians 3:3; Isaiah 41:10; Psalm 91); healing comes from the Lord (Psalm 103:3-4; 1 Peter 2:24); and power comes from the Lord (2 Chronicles 20:6; Psalm 147:4-5). Finally, if you have come out of the New Age, I don’t recommend that you wear crystals as this could be a stumbling block as you continue to move forward and away from New Age practices and beliefs. Again, seek guidance from the Holy Spirit about what you allow into your home and what you wear. Our God alone has all of the answers, and He can (and will) guide us in the right direction! 5. Is yoga related to the New Age Movement? Full disclosure: I do not practice yoga regularly. This isn’t necessarily because I find it wrong or unbiblical, but because I am just not very good at holding tree poses or sun salutations for more than a second or two. Seriously, if you ever saw me do these, you’d encourage me to find something else to do to get healthy. It is up to you, Mama Bears, to determine your purpose in practicing yoga. I have Christian friends who do yoga, and I have attended a few yoga classes myself (but like I said before, I am just not cut out for it). I did, however, find the classes relaxing. Like anything, I encourage you to pray about it. I know this might not be the definitive answer you’re looking for, but our purpose is to present the facts to you and allow you to come to your own conclusions through prayer and studying God’s word. I do not recommend that you repeat the mantra namaste, which means “I bow to the divine in you,” at the end of a yoga session. We recommend saying imago dei, instead. Nobody will be able to tell the difference. Remember that the words we say matter in the spiritual realm. 6. Do New Agers believe in reincarnation? As promised in my first post about the New Age, I’m going to dive into this issue a bit more here because there is an important apologetic point to be made. Let’s talk history for a second (bear with me!). The Fifth Ecumenical Council’s condemnations against Origen didn’t include anything about reincarnation at all.13 Plus, the Council wasn’t ruling against anything originally in the Bible (as Shirley asserted), but things that Origen said. Origen’s writings were never included in the Bible, so there was nothing for the Council to remove from the Bible. Finally, as Douglas Groothuis notes in his book, Confronting the New Age, Origen never taught reincarnation. Yes, Origen may have held the belief that there is pre-existence of the soul, but that does not mean that he believed in reincarnation.14 There’s a huge difference between the two beliefs! Humanity is destined to die once and face judgment (Hebrews 9:27). Bottom line, reincarnation was never in the Bible, despite what some New Agers claim. It simply is not a biblical concept. 7. What is the relationship between holistic health and the New Age Movement? First off, just like with yoga, I’m not going to tell you not to use holistic medicine techniques. If you want to use essential oils, meditation, or acupuncture, that’s up to you (although I must emphasize that there are Biblical and non-biblical ways to meditate, and they should not be confused.). As with all things, I encourage you to research and prayerfully consider anything you get involved with. Paul said that we have the right to do all things, but not everything is constructive or beneficial (1 Corinthians 10:23). Scripture also reminds us that we shouldn’t lean on our own understanding, but trust in the Lord with all of our hearts (Proverbs 3:5-6). Some scholars consider the holistic health movement as a “medical arm of the New Age Movement.”15 New Agers desire to be whole (to reach their highest consciousness), and they approach this desire in metaphysical and spiritual ways. This includes psychic healing, meditation, and natural ways of healing (avoiding extremes like medication or even surgery whenever possible).16 Christians primarily find wholeness in Christ as we love and obey Him. Bottom line, some (not all) holistic treatments may find their origin in New Age principles, so it would be completely appropriate to ask questions about what the practitioners believe. We’d suggest avoiding the ones who are doing said treatments with a New Age mindset and maybe seek out Christian holistic practitioners. 8. Who are some of the most famous New Agers? Shirley MacLaine, Oprah, and Deepak Chopra are probably the most famous names you’d recognize. Some well-known New Age authors include Eckhart Tolle, Rhonda Byrne (author of The Secret), and Louise Hay. 9. Does the New Age stem from other religions? Yes. The New Age Movement has roots in Hinduism, Buddhism, the human potential movement, and mysticism. Zen Buddhists seek higher consciousness. Reincarnation and karma are both prevalent features of Hinduism and Buddhism. 10. How can I tell if I’m being influenced by the New Age? Why do you believe what you believe? Where did your beliefs come from? Anything you believe should be checked against what is true in the Bible. Many New Age beliefs contradict with Scripture, so that’s a great place to start when evaluating your own beliefs and practices. Apologist Elliot Miller says that “no Christian is immune from exposure to New Age influences.”19 If we don’t educate ourselves (and you’re doing that by reading this post! ), we cannot identify the warning signs. So, what should we look out for? Miller warns Christians to be leery of key terms like Christ consciousness, Jesus the Christ, and the Master Jesus.20 Also look out for words like harmony, balance, and natural. Another thing you should be concerned about is if you believe that we can all have our own truths, and that’s okay. [Side note: Hillary and Rebekah go in depth into this postmodern belief in the upcoming Mama Bear Apologetics book, which is available for pre-order right now at Target, Barnes and Noble, and Amazon.] Your truth, my truth…that’s not what the Bible says. Our God is truth (John 17:17; 1 John 5:20). Our God is not a liar (Titus 1:2). The Bible warns us that men and women will create unsound doctrine to suit their own desires, follow myths, and turn away from the truth. As Christians, we must keep our heads in those situations, and remember what is true (2 Timothy 4:3-4). Beekmann, Sharon. Rescued and Redeemed: How to Discern Demons from the Divine. Denver: Illumify Media Global, 2018. Sharon (also the reader for my articles on the New Age) tells her story of freedom from the New Age in this deeply personal book. Groothuis, Douglas. Unmasking the New Age. Downers Grove, IL: InterVarsity Press, 1986. Groothuis, Douglas. Confronting the New Age. Downers Grove, IL: InterVarsity Press, 1988. Groothuis was the go-to expert on the New Age back in the 1980s and 90s. He wrote a lot, and it is still useful today. His books are easy to follow, thorough, and concise. Miller, Elliot. A Crash Course on the New Age Movement. Grand Rapids, MI: Baker Book House, 1989. This is probably longer than you would expect for a “crash course,” but it serves as a good resource if you want to understand the history of how the New Age Movement grew in the Western world. Montenegro, Marcia. Christian Answers for the New Age. http://www.christiananswersforthenewage.org/. Marcia was a part of the New Age Movement for decades, and she uses her experiences to bring knowledge to others. She has answers for questions on just about anything having to do with the New Age Movement. Special thanks to Sharon Beekmann for taking the time to read through this article for accuracy. Your valuable insight and contributions are appreciated. What about Ouija boards? This game has been around for a long time and some of those who “play” claim they channeled spirits. I recall, Churchgoers would participate and think it was ok. Is this game board still Popular? Well written Lindsey. Very informative. What about the Enneagram? I know about its dubious roots, but many Christians, even pastors, believe it’s a great tool for personal discovery. Your take? You may find this podcast with Marcia Montenegro helpful. She discusses the enneagram and mindfulness. Thank you so much for your response regarding the Enneagram. Your husband’s comments, and those of Marcia Montenegro wonderfully addressed and confirmed my concerns. I look forward to following you as you help believers stay forever faithful to the Word of God. Thank you! Thanks for the solid overview. I particularly appreciate the more even-handed approach when it comes to personal decisions. I have witnessed some people ironically fall into superstitious behavior in their zeal to stay away from all things not Christian. If I may, I would like to offer a stronger caution with regard to holistic/alternative medical treatment and practices. This isn’t based so much on spiritual principles as it is a concern for health. What I have found in researching various holistic treatments and practices is that because they are often (not always) rooted in Eastern Mystic and New Age theories, they are not grounded in actual biology. There is a disconnect between how the body functions and treatment prescribed. Many practitioners go to great lengths to sound scientific but the underlying principles are still mystic in nature. This means that, on the positive side, the health benefits of their practices are little to none. There’s a negative side as well when actual illness is misdiagnosed or completely overlooked. It’s not enough just to assume that if the practitioner is a Christian you should trust them. What has prompted me to research this matter in the first place were Christians in the church swearing by a Christian alternative healthcare practitioner as well as Christian radio advertising Christian holistic health centers. 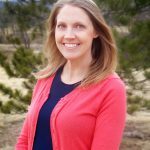 These Christians may have good intentions and I’ve heard some say how it was God that has guided them in their profession, but that doesn’t mean that their techniques are valid and should be pursued by others. Now I would hate to be misunderstood on this matter. I’m not one to merely dismiss claims of home remedies or any form of alternative medicine. I began investigated this stuff because I was hoping there was something to the claims that could benefit a loved one with chronic illness. What I found was disappointing. It has also caused me to be both concerned and fascinated by the extent to which Christians are falling for pseudoscientific claims. In all things we need to: Pray. Research. Think critically. Pray again. Research more. I enjoyed reading this article Lindsey. I’m a New Ager, although many people who would definitely be considered New Agers prefer not to use that term. I think different New Agers have different views about religions, and you obviously know that they agree more with pantheistic/monistic religions than with monotheistic ones. It is true that some New Agers feel that monotheistic religions are dangerous and are responsible for most of the suffering in the world. The late Benjamin Creme said, ‘Two-thirds of the suffering in the world come from false God-concepts.’ I personally feel that people’s beliefs aren’t the problem, but that the lack of love people have is responsible for the suffering in the world. When people ‘attack’, they increase their lack of love; and when they express love to others, their love grows. So I feel that it’s only through the relinquishment of attack that the world can heal. Anyway, I recognize the conflict between Christianity and New Age, and you probably agree with me that, even though we disagree, we can still love each other. And of course the New Testament is one of the world’s great teachings about divine love, arguably the greatest. Peace and love to you. I appreciate the warning given in this piece. I also highly recommend the book or interviews recorded on youtube entitled, “A trip into the supernatural.” The author and interviewee is a man named Roger Morneau who was saved by God from a high-level Luciferian society in which they discussed the concept of the “glorious new age” when he was there in the late 40’s. It clearly was in the works for a while. In the society, they also freely discussed the demonic and deceptive nature of all forms of communication with the dead (the spirits demonstrated their ability to imitate the voices of the living, too). The satanic priests even explained that the belief in the inherent immortality of the soul constituted a form of necromancy – which is forbidden in God’s Word – and that that belief alone opened such believers up to all forms of spiritual deception. They exulted that they had thereby deceived the majority of Christians in the world. There’s so much information that all I can say is watch it or read it for yourself. It’s an amazing testimony that even has witness corroboration(if you watch the one labelled “full testimony”). It’s long, but it won’t seem so, and it’s totally worth it. One thing l dislike about online communication is the difficulty in expressing affect. So let me say my intent is respectful and inquiring. Are these words not new age belief: Remember that the words we say matter in the spiritual realm.